Most stains can eventually be removed by following these procedures. However, some stains are stubborn and may only be lightened. Promptness – Treat stains as quickly as possible before laundering. Age and washing prior to retreating can set some stains. Patience – If the garment is worth saving, it’s worth extra effort and time to follow stain removal procedures. Persistence – Because some stains are difficult to remove, it may be necessary to repeat a procedure several times. Any material which has been used with cleaning solvents – or is saturated with flammable liquids, solids, vegetable oil or animal fats – should not be placed in the washer or dryer until all traces of the stain and fumes have been removed. These highly flammable stains can cause fires when the residue coexists with heat generated in the laundering process. Do not mix or combine stain removal products, especially ammonia and chlorine bleach; noxious fumes may result. Read instructions on all stain removal products and keep them out of children’s reach. Some stains are not easily seen when the fabric is wet. Air dry items to be sure that the stain has been removed. Machine drying might set the stain permanently. Work on stains from the reverse side to prevent them from spreading. Soaking garments with either laundry detergent or a special presoak product (Biz, Clorox 2 or Snowy*) will aid stain removal. Soak protein stains (blood, grass or egg) in cold water. Soak oily stains in warm water. 30 minutes or less should be sufficient. Use a liquid laundry detergent, a paste of granular detergent and water or a special pretreat product (Clorox Spray Out, Spray & Wash or Shout*). Follow the manufacturer’s instructions. Brand names include Carbona, Energine, De-Solv-It and Whink Wash Away*. Use carefully and follow manufacturer’s instructions. After applying, rinse thoroughly before laundering. Chlorine – Identify by the word “hypochlorite.” This type of bleach may be used on all fabrics except silk, wool, spandex and noncolorfast fabrics. Follow manufacturer’s instructions. Nonchlorine – Identify by the words “all-fabric.” This type of bleach may be used on all fabrics and colors. Follow the instructions on the label. To achieve maximum effectiveness, use regularly in warm or hot water with an extended soak or wash time. Granular detergents work best on mud and clay types of soil and are more effective in hard water. Liquids are good for cold water washing, pretreating and removing greasy, oily stains. Some detergents contain enzymes or bleach to provide additional stain removal benefits (this will be indicated on the label). *Product names are trademarks of the respective manufacturers. Rinse in cold water to dilute the stain. Pre-treat remaining stain and wash in the hottest water safe for the fabric using appropriate bleach. If the stain remains, soak in warm water with pre-soak product. Pre-treat stain and launder in the hottest water safe for the fabric, using chlorine bleach if safe for the fabric. If stain remains, soak in warm water with a pre-treat product. Rinse thoroughly and relaunder. Use nail polish remover for stubborn makeup stains, such as lipstick. Remove as much dried stain as possible from the fabric. Soak in a bucket of water before washing. Pre-treat and launder using the hottest water safe for the fabric and use appropriate bleach. 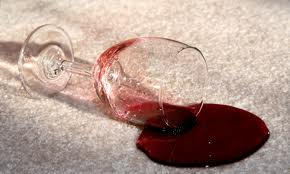 For more information on stain removal click here. Laundromat Hours: 7 AM - 10 PM, 7 days a week. Last wash 9 PM. Doors lock automatically at 10 PM. We serve the Jacksonville and Arlington areas: 32225, 32246, 32277, 32211, 32216, 32224.